James Gerard Walden was born January 18, 1966 in New York. He passed away Tuesday, March 26, 2019. James was raised in Chicago, IL, and was a loyal fan of the Chicago Bears, Cubs, and Bulls. He attended Oak Park River Forest High school and St. Cloud State University where he participated in the track teams. He also attended Cal State University at Fullerton and was a member of the Delta Chi Fraternity. A very proud and involved father, he coached his children’s Baseball, Softball, and Football teams as well as volunteered at the YMCA for his son’s swim teams. He enjoyed camping and fishing and going to baseball games with family and friends. James is preceded in death by his daughter, Jayna Walden and step-father Richard Pennamon. He leaves to cherish his memory, loving wife Stefani Walden; children, Kimberly Walden, Christopher Walden and Miles Walden; mother, Ernestine Pennamon; brother, Floyd Matthew (Maria) Walden; aunts, Beverly Walden, Deborah Walden, Engrid Walden, and Tracey Walden; along with many cousins and friends. James was loved dearly and will be missed by all who knew him. 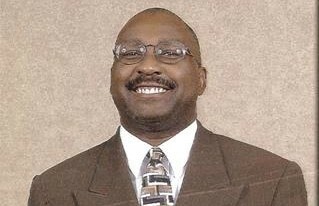 Arrangements by WHITE’S FUNERAL AND CREMATION SERVICES, 867 S. JAMES ROAD, COLS, OH 43227, BENJAMIN F. “BENNY” WHITE, JR, FUNERAL DIRECTOR, (614)947-1123, whitesfh867.com.